They have a segment latticework structure, welded from pipes of circular and rectangular cross-sections. The conveyors are manufactured in widths of 500, 650, 800, 1000 and 1200 mm in two bearing structure heights of 550 or 850 mm. Individual segments normally manufactured in lengths of 1.2 and 5 m, whereby the highest structure is used to increase the firmness of the conveyors with a greater opening of end parts or with a large span between supports. The conveyor consists of end parts, which comprise the drive and tension parts, and central parts of the appropriate lengths so that the required axial length of conveyors is achieved. The drive unit is fitted with a drive drum with an optimized diameter with regard to the conveyor belt that is used. To restrict belt slippage, profile rubber is adhered to it. The actual drive itself is formed by a compact helical geared motor. The gears used are mainly from the finest global manufactures of gears - NORD and SEW. There is also the option of conveyor drive in hydro design. For long conveyors and where conveyor use (reverse) or spatial layout demands it, we use a drive unit with a drive loop consisting of three drums of which one, or two during high performance output using two gears, is/are driving. 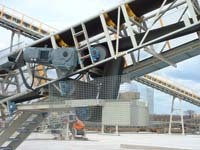 This drive loop can be positioned in any place of the lower branch of the conveyor. Moreover, the advantage is increased wrapping of the drive drum and thereby the possibility of transmitting higher performance output of the drive unit. In terms of reverse conveyors, the drive loop placed on lower branch enables adjustment of the belt's operation regardless of its direction. The drive unit always includes an outer belt wiper. The quality of the wiper's function has a decisive impact on the overall function of the conveyor. For this reason, our conveyors are equipped with the wipers of renowned manufacturers, in either slat or lamella wiper design. Belt tensioning of our conveyors is ensured in several ways. The type of tensioning depends on the layout, conveyor length and customer requirements. The most commonly used is tensioning with the help of a trapezoidal thrust screw, where the tensioning drum also serves as a reverse drum on the feed end of the conveyor. 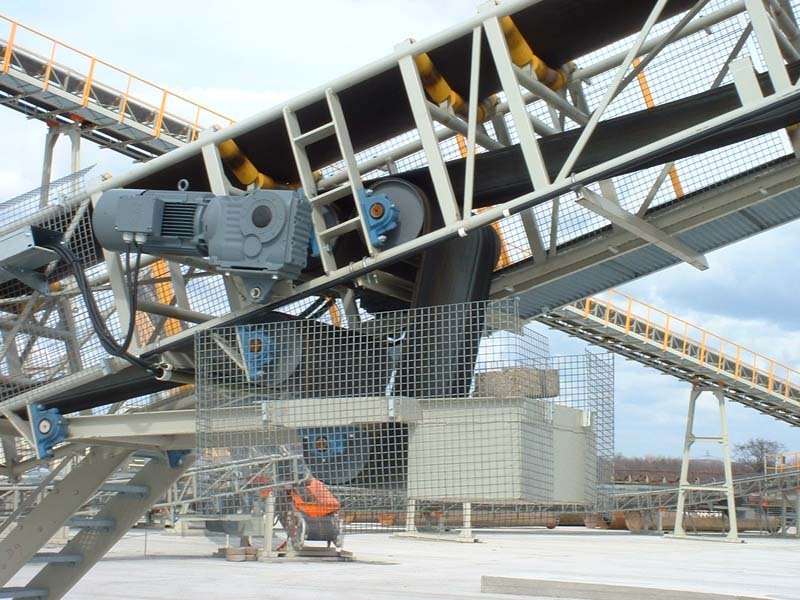 Another alternative is a tensioning loop on the lower branch of the conveyor, used in longer conveyors, because it multiples the tensioning length. Then there is the alternative of gravitational tensioning, which reduces the demand on the frequency of checking belt tensioning. An inner arrow wiper is always installed in front of the tensioning and reverse belt, ensuring the cleanliness of the drum surface and thus the directional stability of belt operation. The form of conveyor belt tensioning and drive is always carefully selected based on specific demands on the equipment in operation. 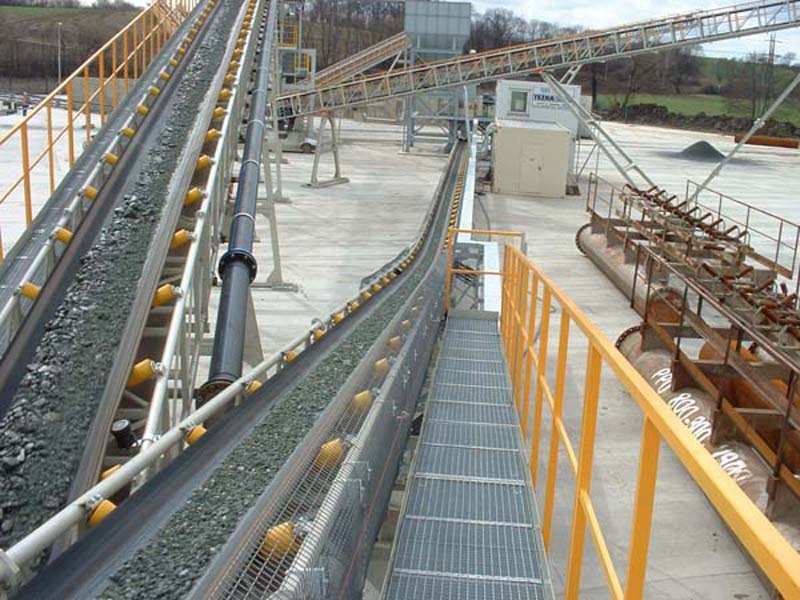 To eliminate the effects of operating, which could have an impact on the directional stability of belt operation, we fit conveyors with self-adjustable centring stations. Conveyors manufactured by our company meet all safety standards valid in the EU and in the case of export outside of EU countries they are always adapted in accordance to all standards valid in the target country. 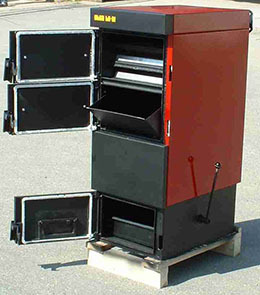 By standard, rotating parts are fitted with covers to prevent the operator from being caught. Moreover, conveyors are equipped with a safety switch enabling the immediate shutdown of the full length of the conveyor, plus a rotational movement and belt buckling guard, or a switch that blocks the operation of the conveyor when any safety cover is removed. 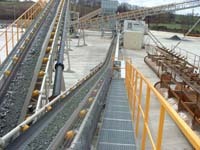 Furthermore, it is possible to equip the conveyors with warning light and sound equipment. A great advantage of our conveyors is the possibility of direct suspension of a unilateral or bilateral maintenance platform right on the bearing structure of the conveyor without the need for separate bearing platforms. We protect transported material against weather conditions, or vice-versa to prevent the transported material from affecting the surroundings by equipping conveyors with upper covering made by the German company Achenbach. The design of the freestanding latticework structure of conveyors enables a chassis to be mounted, thereby creating heap conveyors. These chassis are adjustable in height using a hydraulic linear motor or with a fixed slope. The chassis can be fitted with electric drive or hydro drive and thus enable heaping in a sector. To add magnetic separators to lines comprised of our conveyors, we add the necessary section of the conveyor structure in non-magnetic design. 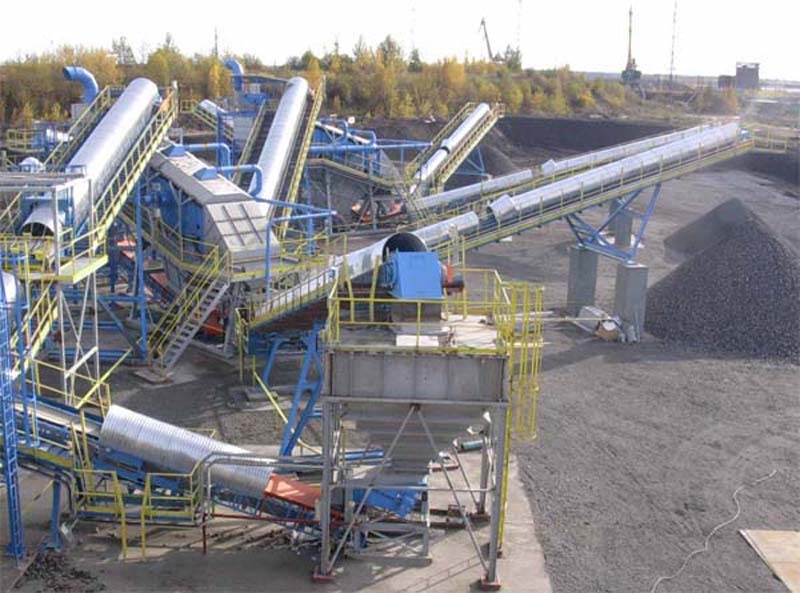 Apart from standard surface treatment of conveyor structures by painting after prior blast cleaning, it is possible to galvanize the entire conveyor for aggressive operating conditions with consideration to the segment design.